MONTREAL - The Crown has withdrawn assault charges against the ex-wife of retired NHL star Vincent Damphousse. Allana Henderson's case was back in court today as she faced charges of theft and assault with a weapon stemming from a March 2011 incident where Damphousse was the victim. The former couple charged each other a few years ago and Damphousse was acquitted in June 2013. He was facing six charges of simple assault related to events that allegedly occurred between 2008 and 2011. Damphousse, who played in Toronto, Edmonton, Montreal and San Jose, issued a statement earlier today calling on the Crown to drop the case against his ex-wife and mother of his two children. Crown prosecutor Caroline Paquin told Quebec court Judge Salvatore Mascia of Damphousse's decision and Henderson was acquitted. "The criminal charges filed against Allana Henderson in 2011 are extremely serious, and I do not wish to minimize them," Damphousse said in the statement. "However, since my family remains my priority, I have made the decision to put this episode behind us and enable everyone involved to move forward in a constructive manner." Damphousse said he recently obtained joint custody of the children and wanted to spare them the ordeal of watching their mother stand trial. He said communicating better with his ex-wife is also in the children's best interest. 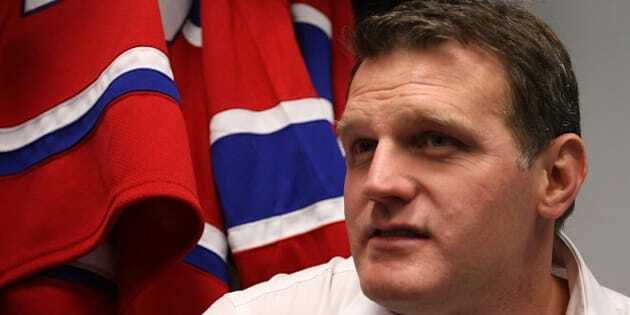 Damphousse was drafted sixth overall by Toronto in 1986 and, during an 18-year NHL career that ended following the 2003-2004 season, he won a Stanley Cup with the Habs and served as the team's captain from 1996 to 1999. In 1,378 NHL games, he scored 432 goals and amassed 1,205 points.